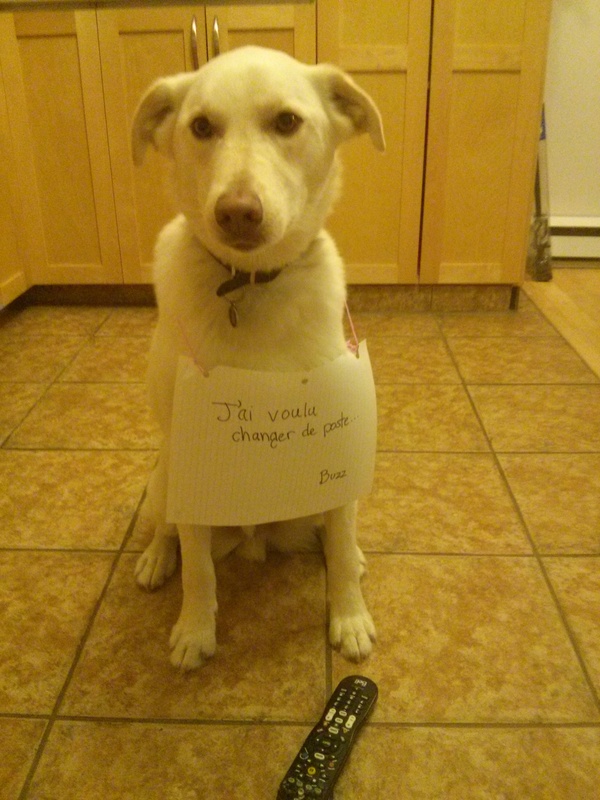 I’m not a bilingual dog! Posted December 6th, 2015 by Audra Williams & filed under Submitted, Technophobes. 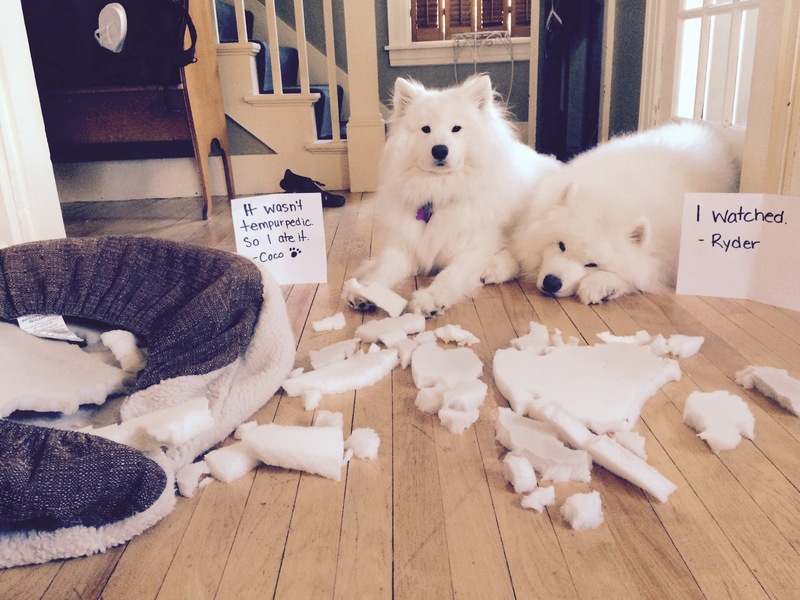 Posted October 29th, 2015 by dogkeeper & filed under Dog Bed Destruction, Double Trouble, Submitted. I left for a few hours and came home to a mess on the floor. Coco had pulled all of the foam out of the bottom of the dog bed and left it all over the floor. Posted April 7th, 2015 by dogkeeper & filed under Double Trouble, Submitted. 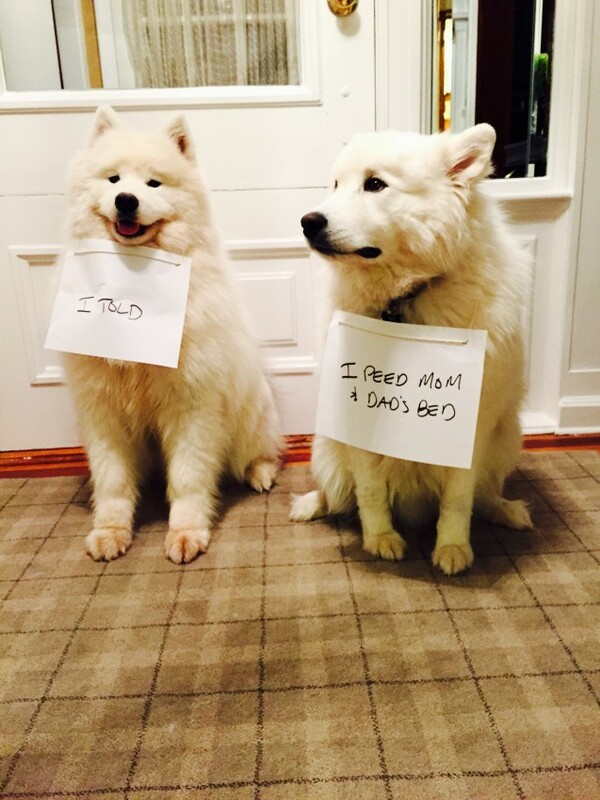 I peed Mom and Dad’s bed. 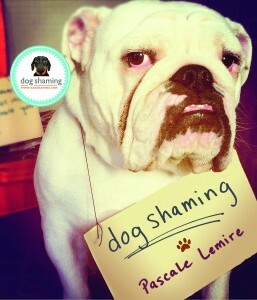 Posted February 14th, 2015 by & filed under Holiday Hooligans, Pilfering Pooches, Submitted. 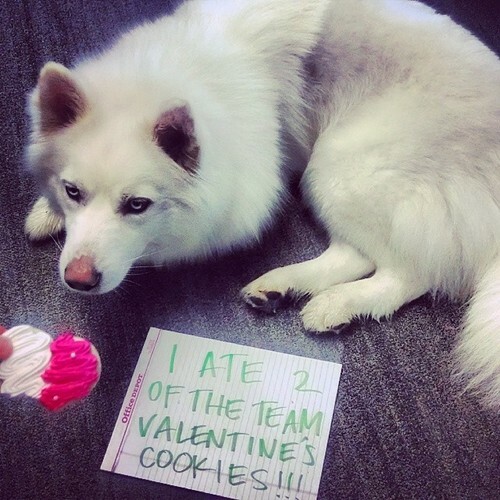 I am lucky enough to get to come with my owner to work at Google every day but this morning ate 2 of her team’s valentine’s day cookies!! Before 8 AM no less! Posted November 7th, 2014 by & filed under Shoe Shames, Submitted. 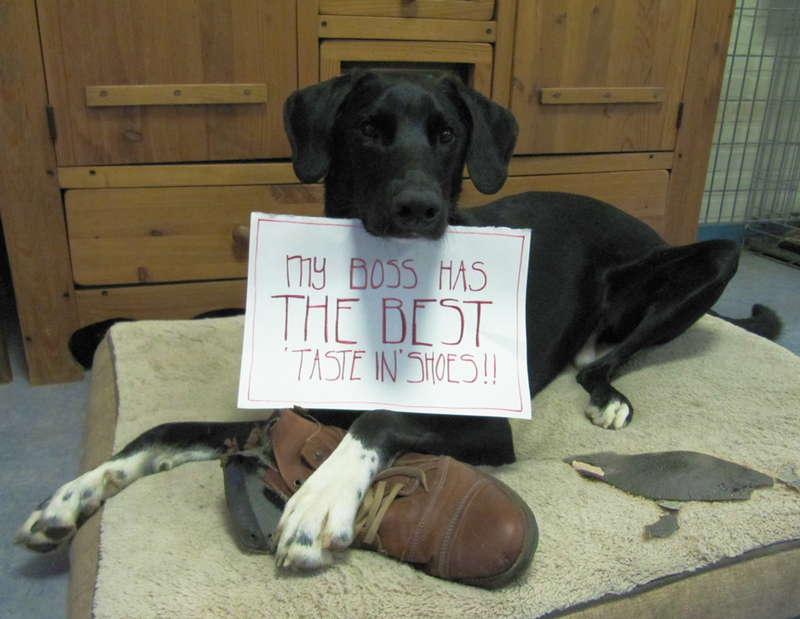 My boss has the best ‘taste in’ shoes. Posted May 15th, 2013 by & filed under Litter Box Bandits, Submitted. 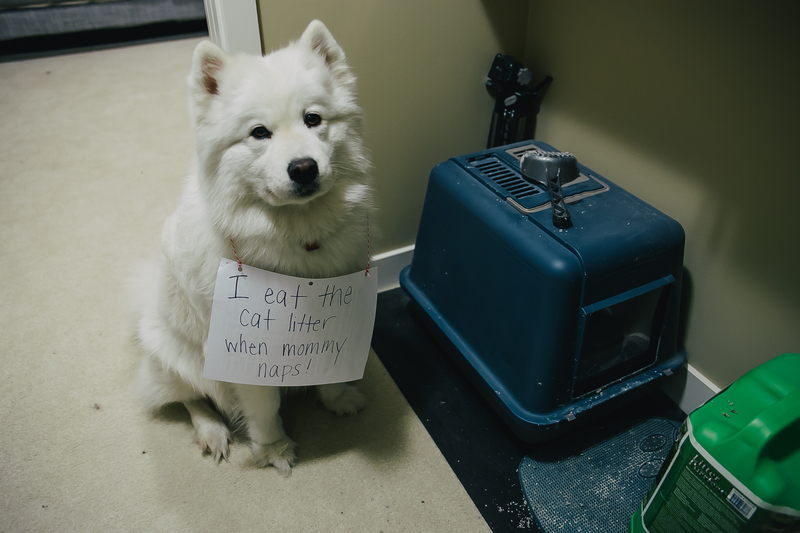 Our 6 year-old Samoyed, Zivah, likes to eat from the litter box. 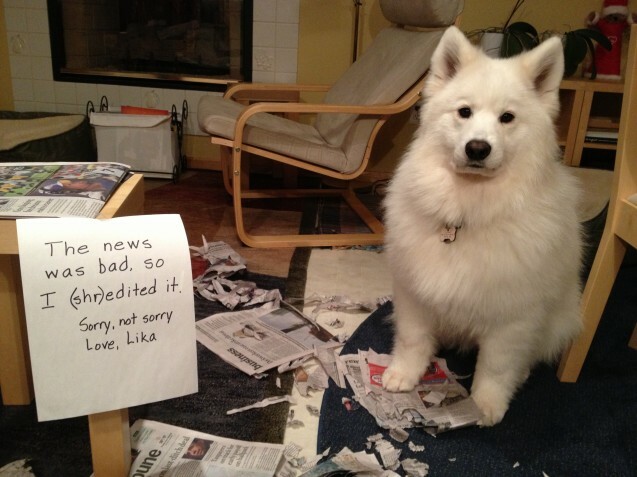 Posted January 24th, 2013 by & filed under Pilfering Pooches, Reading Rover, Submitted.